VANTON PUMP & EQUIPMENT CORP.
RC Beach & Associates, Incorporated in 1980 offering over 34 years of experience to our engineering, water and wastewater industry. As leaders in hydraulic design, bio solids handling, air quality odor-corrosion control, treatment process, and water pumping, we are providing our business concerns high efficiency design with responsible investment achieving more affordable maintenance cost. Understanding the need to provide quality service and monitoring equipment R,C. Beach & Associates works directly with clients to accomplish a high level of performance. With teaching and conducting early detection methods, through foundational installation footprint analysis, both power and maintenance costs can be reduced. 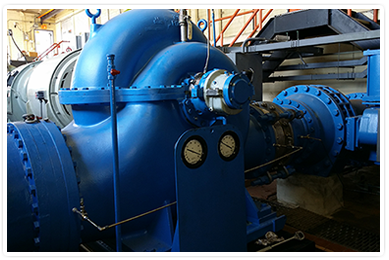 By establishing after market programs, RC Beach & Associates can deliver and track parts, repair pumps and rotating elements, and record/archive technical data. This enables giving clients a complete resource for maintaining their water process systems. Contact RC Beach and Associates for all of your pump and Process System needs. How our Business Concerns feel about R.C. Beach & Associates, Inc. Copyright © 2015 R.C. Beach & Assoc. Inc. All rights reserved. Website Designed by Profit Gate, Inc.